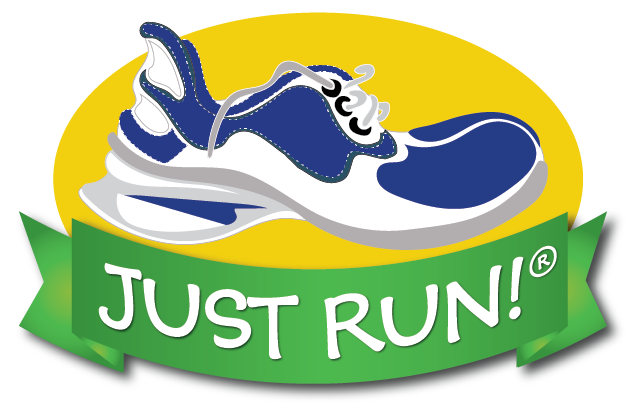 JUST RUN® promotes fitness, healthy eating, good citizenship, and pride in accomplishment! 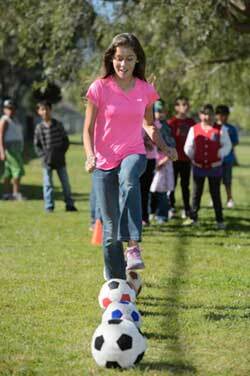 JUST RUN is a FREE, multifaceted youth fitness program developed by the Big Sur Marathon Foundation. It not only promotes exercise and the sport of running but also good citizenship and healthy eating through its Just Deeds and Just Taste features. Virtual runs across the USA and Europe link points of interest and geographical and historical sites making it educational as well. Turn-key, website-based program is available for implementation in all schools and youth organizations in any locale. Program materials are freely given and readily available on the website; teachers/leaders are trained and mentored throughout the span of their participation. JUST RUN lends itself to before, during and after-school programs and is easily adaptable for children of kindergarten-age through high school. JUST RUN is an ongoing program. One of its goals is to have the children realize that exercise is part of a healthy lifestyle and should be incorporated into their lives on a daily basis. Schools, individual classes, and groups can register at any time. JUST RUN is non-competitive and helps all children feel pride in accomplishment. ​Schools, teachers, leaders and/or parents who are interested should contact Susan Love at the Big Sur Marathon office at 831.625.6226. Earned incentive awards for participating children in grades K – 8 will be sent following the 1st and 15th of each month. The incentives include a Mile Marker chart, bookmark, and plastic foot when your students begin the program and are entered into the database, followed by mileage tokens when they reach their goals of 5, 10, 15, 20, 25, 50, 75, and 100 miles. A 30 inch ball-chain necklace will be sent along with the same number of designated #5 tokens so that the children can proudly wear and keep track of their earned mileage incentives. The children receive wristbands when they reach accumulated mileage of 25, 50, 75, and 100. JUST RUN shirt awards are provided for children accumulating 50 miles of running/walking and have completed 26 Just Deeds, the good citizenship component of the program. Be sure to enter sizes for your students. Incentives for high school programs: Students will receive a Be a Champion card from USA Track and Field when they begin. When they reach 50 miles they will receive Go for the Gold JUST RUN shoe laces, followed by an entry for the Big Sur Marathon Foundation’s 5K or 3K when they accumulate 100 miles. Dependent upon locale, informational school visits for teachers/leaders to explain the program's features and how to get started can be arranged, as well as training sessions for leaders in JUST RUN website use and program implementation. JUST RUN shirts for group leaders and participating teachers are provided upon request. The website provides all of the information necessary to set the program in motion. Also included are promotional materials, all necessary and helpful forms, fitness tips for students and volunteer leaders, diet and nutrition advice, activities for students, a downloadable running log, and a way to compare your school or group’s progress with others in the program. The Quick Start Guide was created to let you easily start the program. Individually the children experience the benefits of physical activity and stretching, progress at their own speed in a safe, non-competitive environment, and experience pride in personal accomplishment and goal setting. Most important, they learn life-long positive habits while having FUN! Run Across the USA and Run Across Europe allow classes to cooperatively accumulate mileage in “virtual runs” that are tracked on the website. 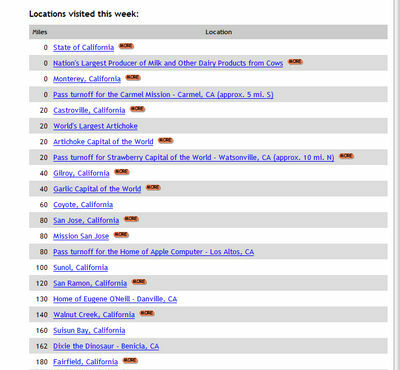 Hundreds of geographic, historical, nutritional, and fun locations are web-linked throughout these educational journeys. This program feature lends itself for use as a history or geography lesson; the children can study the locations that their group virtually passes through on their way across the USA and through Europe. The children also develop a sense of pride as they contribute their personal mileage to assist the group in reaching a common goal. The leader records individual mileage and the group's progress is automatically reflected on the group's map. 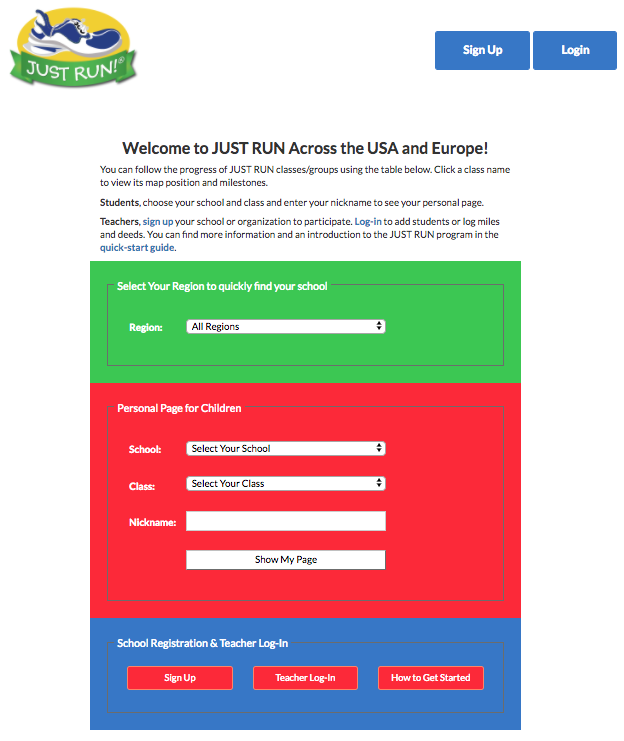 The main screen for Run Across the USA and Europe shows the total number of children enrolled, the number of Just Deeds earned, and the total number of miles run by all JUST RUN participants. The following web page shows an example of a child and his school/group, indicating the total number of JUST DEEDS and miles run for the whole group, and also for that individual child. You can also see the path across the United States, with their current position marked by the JUST RUN shoe in the vicinity of Chicago. The next screen shows the links associated with the locations through which the children have passed on their journey. 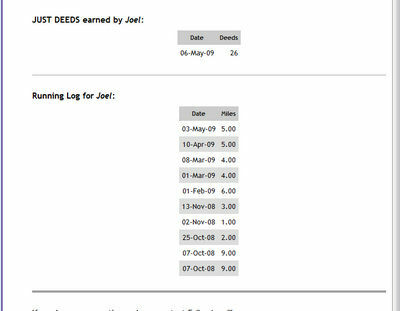 The last screen shows the JUST DEEDS log and running log for this child, Joel. Instructions for entering a child to your group, as well as recording mileage and Just Deeds, are found here. 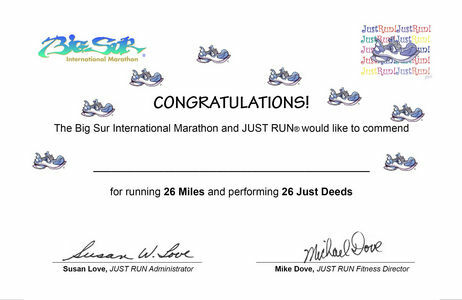 In conjunction with running and physical activity, the Just Deeds program promotes good citizenship and good deeds. The Just Deeds form should be returned to the leader when completed. Congratulations Certificates are provided on the website (in the Just Deeds section and in the Forms section) when students accumulate mileage totals up to the marathon distance of 26 miles and have performed 26 acts of good citizenship. At 50 miles, a JUST RUN tee-shirt is awarded to participants in Monterey and other designated counties. Leaders in other locales are encouraged to seek funding to provide shirts when these goals are met. Use the Just Deeds form to record the student's Just Deeds. The Just Taste program encourages healthy eating. The website also offers a vast amount of nutritional information. Leaders are encouraged to collaborate with local health organizations and nutritional experts to achieve health and fitness goals. This feature will enable you to clearly see the number of miles and deeds you have logged for each child in your group and when they have reached designated milestone achievements. The Incentive Tracking Feature in the Run Across the USA online program will assist you in tallying and ordering/purchasing earned awards for recognizing and distributing personalized awards to the children in your group. Once you have entered your class/group names into the database, the names will also be listed in the Incentive Award Overview feature. Click on Incentive Overview when you bring up your class/classes. You will see what has been eared/deserved by each of your students by a red E. Pending awards are indicated by a gold P and when they have been given to your students, click on "Change earned rewards to received." You will now see a green R for each child who had earned and received a specific award. When you enter miles and deeds, those numbers will automatically be tallied and stored by the program's database. When designated mileage goals and deeds are reached for each child, his or her earned award will be reflected in your school's bills of lading and automatically sent to you, following the 1st and 15th of each month. Just Race – The Big Sur Marathon Foundation provides funds to Monterey County schools based on school participation in the On the Bay 3K Run on the Saturday prior to marathon day in late April. Another 3K is held prior to the BSMF half marathon in November. We are encouraging and actively working with other race directors to add fun runs and races for children to each adult race and to establish separate children only races and fun runs. Check in your locale for fun kids' races to supplement and motivate your runners. Want to get started? Click here for the Getting Started page and begin the program.